We recently funded a $1.8mm packaging client. Patriot Funding Corp. has a sell desk of 60+ financial institutions. We have also funded IT, used equipment (up to 20 year collateral for qualified clients), commercial vehicles, copier, start-up and industrial equipment. We have partnered with multiple manufacturers worldwide as financing alliances for their clients. 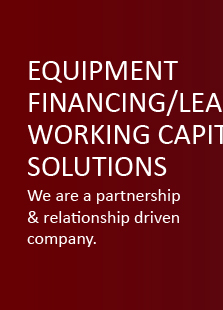 We provide operating and capital lease structures; 100% financing and LTV financing; Manufacturing & Technology, as well as commercial vehicle, deposit prefunding, startups. 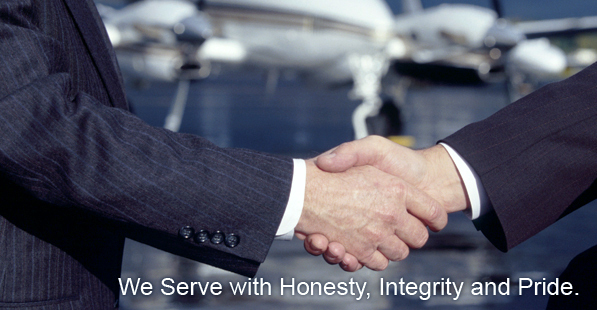 We are a dedicated team of professional s who will provide you with the highest quality of customer service. Calculate your needs and you will find Patriot Funding Corp. is a sound business decision for financing your next investment. We are a partnership & relationship driven company. "Steven G. Clyne at Patriot Funding Corp. recently arranged the funding of a transaction in excess of $300,000 for a solvent free laminator for its client New Wave Converting Inc. in Southern California. The collaboration of Patriot Funding Corp with New Wave Converting Inc., the bank and the manufacturer resulted in the funding of a five year note on this equipment. This is the second deal that Patriot Funding has successfully completed with this client." Patriot Funding Corporation has funded a $1.8mm packaging client. "Patriot Funding Corp arranged and funded a $1.8 million packaging transaction for a Flexographic Printing Press for an unidentified client on Eastern Long Island, NY. The deal included a $500,000 equipment loan bank payoff and collateralization of the equipment. Patriot Funding Corp worked closely with the client, the bank and manufacturer to assure the 6-year note met all of the requirements of both client and bank, the company said. Patriot Funding Corp. is close to closing on a third piece of equipment with the same manufacturer." "NEW YORK, NY | Patriot Funding Corp. recently arranged and funded a $1.8 million packaging transaction for a flexographic printing press for a client on Eastern Long Island, NY. The deal included a $500,000 equipment loan bank payoff and collateralization of the equipment. Patriot Funding Corp. and its director, Steven G. Clyne, collaborated closely with the client, the bank, and manufacturer to assure the six-year note met all of the requirements of both client and bank. Patriot Funding Corp. reports it is close to closing on a third piece of equipment with the same manufacturer. The name of the client was not revealed."